“Trust, respect, understanding”—it states unequivocally on the sign just above the entrance. Three strong, important traits that are reinforced to each student in every class, and also signify what those same students can expect from the organization in general. TRU Taekwondo has built a solid, dependable reputation, instilling these and other important character traits in their students, along with valuable life skills, including discipline, patience, focus, restraint, and a healthy lifestyle. It’s easy to understand why they have maintained an exceptionally high retention rate among their hundreds of students. However, all this pales in comparison to their true mission, which is to connect with each student, providing him or her with the tools necessary to help manage life’s obstacles, challenges and stresses better, and to offer them the best chance to succeed in whatever they do. The real story of TRU Taekwondo began when young Martin Douglas was just five years old and being driven by his father, a Vietnam veteran stationed in Fort Bragg, from his home in Fayetteville, North Carolina, to the nearby U.S. Taekwondo Center. The appeal, at least to his dad, was that the center was run by Grand Master Myong Mayes, the highest-ranking female black belt in Taekwondo in the world. She was of Korean descent, and a Ninth-Degree Black Belt (the highest) and Grand Master. She coached the 1988 U.S. Olympic team in Seoul, Korea, and was instrumental in bringing the sport of Taekwondo to the United States as one of the first Korean Masters to open a school here. Martin was among the youngest students ever taught by Grand Master Mayes at the time. Young “Grand Master Douglas” (his official title today) began teaching at the age of 14 as an assistant instructor at the same school where he himself had learned nine years earlier. Martin continued to train throughout high school and into college at N.C. State University. It was during those later years that he began competing and winning on a national scale. After graduating from State, he took a job as a Network Administrator, and continued to train in Cary, N.C. He realized, however, that his passion was always with the martial arts, so he joined another instructor and came to Winston-Salem to teach classes at a local center full-time, while still participating in national competitions until he was twenty-five years old. Throughout this time he continued to rise through the ranks and ultimately achieved a Seventh-Degree Black Belt and earned Grand Master status. It was in one of those classes in Winston-Salem that he began teaching the daughters of Philip and Dianne Averett. 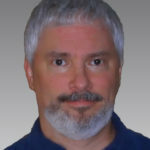 Philip, at the time, was co-owner of a successful medical billing firm in Winston-Salem. He was immediately impressed with Master Douglas’s style and approach to teaching his craft, along with the positive results he was witnessing with his own daughters and the other students. They developed a kinship along the way, and, as their spiritual connection grew, Philip encouraged Master Douglas to open his own school. Then, in 2012, by the time Martin had already decided to open up TRU Taekwondo at its original location at 5038 Peter’s Creek Parkway, Winston-Salem, he and Philip began to prayerfully consider forming a partnership. A year later, their partnership was well underway, and they’ve grown leaps and bounds since, having opened a second location at 5065 Country Club Road, Winston-Salem. The fact that this partnership grew out of a mutual respect for the meaningful benefits the sport offers, along with the worthwhile lifelong experience the owners are delivering to their students, is indicative of the commitment both share in providing much more than simply self-defense. “We’re not a competition school, although we’ve had some students who competed, and they can if they want to, but we don’t focus our efforts in that regard. The sparring that takes place here is in a controlled environment under our supervision.” And having all those years of national competition experience, Master Douglas says, helps him with his current students. “The struggles and obstacles that you have to overcome in competition—I can create those same obstacles in a regular class, helping [the students] achieve goals and overcome without the need to travel and compete in those settings. Besides the expense of that competition, it’s pressure.” Master Douglas added that with all the effort that he and his instructors put into building the students up, he doesn’t want to see the possibility of any negative experience in these outside competitions tear down what they’ve worked so hard to build. Yet another example of how they put the best interests of the student ahead of everything else, a theme echoed throughout the team at the center. izing their talent level, as well as what other factors are going on in their lives, to be able to push them when they need the push, and guide them when they need extra guidance and understanding. He relates to his students and cares about their personal successes, both inside and outside the center. That’s indicative of the students who, after leaving for college, often come back to visit to catch him and the other team members up on what’s going on in their lives. Students see the leadership at TRU as more than professional trainers, but also as mentors and friends intent on setting the right example for them to follow. The TRU environment is one that encourages students by helping them to achieve their best, versus the typical competitive nature one might imagine in other sports. It’s an intricate program that helps students learn, grow, and develop physically, mentally, and emotionally, delivering the skills today’s students need to be at their best and achieve their best. It’s their character, their attitude and their approach that Master Douglas and his team of instructors and Philip bring to TRU Taekwondo that makes it the success it is with their students, the families, and in the community at large. And to think, it all started because one father took the time to take his son to training each week in an effort to teach him the valuable life skills that would ultimately become his lifelong passion! 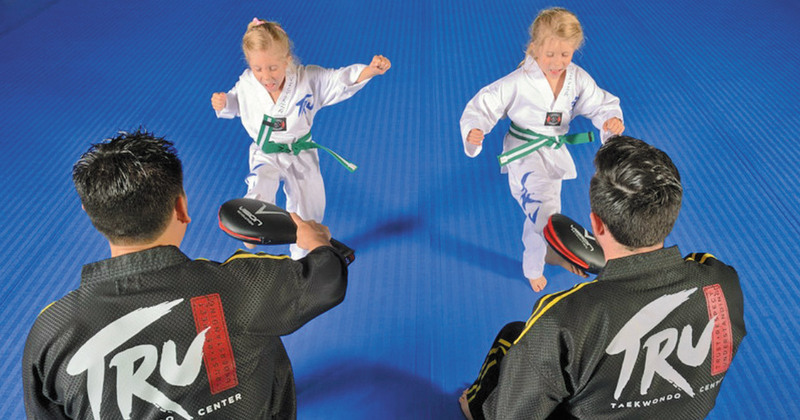 Besides Taekwondo self-defense training, they offer services designed specifically for the distinctive needs of adults, such as their fitness and cross-training classes. Classes, I might add, that improve your cardio-vascular strength and help burn off some of the stress we all deal with routinely. To help provide encouragement, they offer free bi-weekly women’s fitness classes on Tuesdays and Thursdays at 9:30 a.m., and walk-ins are welcome. They hold different events during the year to reinforce the bonds of family and friendships, including those made at the center, such as cookouts, parties, and date nights for mom and dad while their young students enjoy their classes at a special time. The after-school program they hold at the center is conducted in an energetic, colorful, imaginative environment specifically designed to boost the students’ energy levels at that time of day, and lift their spirits to be able to work on homework assignments and enjoy the other activities available. Summer camps offer a great chance for students to see what the center has to offer, while enjoying exciting field trips, arts and crafts projects, games, along with Taekwondo training that keeps the students entertained and engaged. And of course TRU Taekwondo is a great place for them to have their next birthday party as well. Now is the perfect time for you to stop by and demo one of their classes and see for yourself just how beneficial this training can be. And to make it that much easier, TRU Taekwondo offers a satisfaction-guaranteed promise, so you can feel confident in joining. They have two convenient locations in Winston-Salem: at 5038 Peters Creek Parkway (just past Walmart), and 5065 Country Club Road (across from Calvary Baptist Church.) To find out more, visit their website at trutkd.com or give them a call at (336) 788-5333 on Peters Creek Parkway, and (336) 448-0152 at their Country Club Road location. This could well be the start of something very rewarding for you and your family for many years to come.